Today there will be no food post..
Me too... reading tweets and fb feeds. 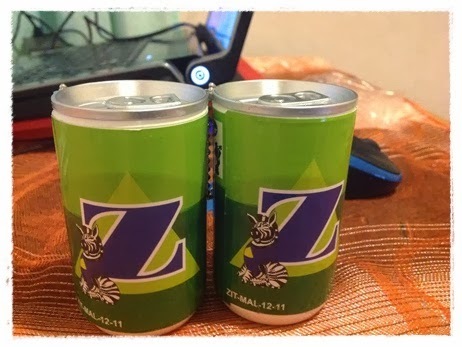 Z fizzy drink from Australia ! prayer of safe notes for MAS passengers. Wasn't there a badminton match last night? Datuk beat Chen Long? He was on a MAS flight to wherever the competition was taking place. The chief steward on MH370 had his photo taken with Datuk and shared on Facebook. Elo, am back today.. Hopefully I won't be off from work too often already, haiz..
My guess: Something like the Thirsty Hippo.. What do you call that.. Dehumidifier.. To absorb moisture..
hmmm...come to think of it....is it from the zenxin farm ? The one Chris went? Guess it's organic rice powder in a can? Or even organic vegetable(green) powder? Thanks for coming by, everybody!